Whale is the common name for marine mammals which includes the sperm whale, killer whale, pilot whale, beluga whale and humpback whale and also the blue whale, which is the largest animal known to have ever existed. 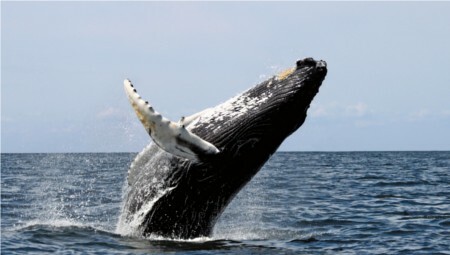 Many whales exhibit other surfacing behaviours such as breaching and tail slapping. Whales have been hunted for meat and as a source of raw materials.